Are you aware that even short term negative effects of alcohol make cancer prevention an uphill climb? Both short and long term negative effects can hurt your health from head to toe. What an alcoholic drink does is create havoc in your body and mind. It is addicting and it can lead to abuse. Abuse is drinking more than what is considered as moderate. Its long term consequences on your immune system are more harmful, especially if you also smoke cigarettes. The membranes of your cells are easily penetrated by any alcoholic drink. Genetic mutations in the DNA of your genes occur with every intake of alcohol. Prevention of negative DNA mutations is one of the abilities of your cells. They can fix those harmful mutations but too much liquor can inhibit their ability to repair. These DNA mutations are one of the long term negative effects of alcohol. 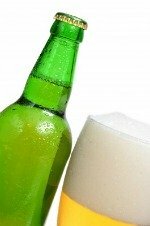 Abuse of alcoholic drinks is what causes cancer because they can lead to uncontrollable cell division and growth. Besides genetic mutations, other negative effects of liquor abuse is that it can behave as a co-carcinogen to other chemicals particularly tobacco. Abuse in drinking may intensify the negative effects of tobacco smoking. Studies show that prevention of cancerouse cells in the esophagus, mouth and larynx is almost impossible if you smoke AND drink. You are also more prone to tumor growth in your lungs if you abuse drinking. Here are the facts: Tumor in your liver and cirrhosis are diseases that confirm the negative link between tumor growth and heavy drinking. Too much alcoholic drinks stimulate the liver cells to grow faster than normal. It also causes liver cirrhosis, a disease which raises your risk for liver cancer. More often than not, liver cancer is one of the negative effects of liver cirrhosis. Hormone-related cancers are also long term negative effects of alcohol abuse. It has worse effects on you if you're a woman. Your body chemistry and structure are different from a man's. You absorb more alcohol and your blood retains it far longer. The way your body absorbs and retains an alcoholic drink makes you more sensitive to harmful and negative effects. According to Center for Disease Control and Prevention, your risk for breast tumor increases as abuse of alcoholic drinks also goes up. Cancerous cells in the breasts feed on estrogen and one of the effects alcohol is it increases the level of estrogen in your body. Colorectal tumors are found to be more common among heavy drinkers. Also, a study done on mice with tumors last 2006 reports that robust tumors are one of the negative effects of alcohol abuse. A poor immune system is one of the negative effects of drinking too much. It weakens the immune activity of your body in a lot of negative ways. In fact, excessive drinking . . .
hinders the production of healthy white blood cells. According to leukemia facts, the disease starts when your white blood cells become damaged. High levels of liquor in your blood makes you more vulnerable to leukemia. When your immune system is weak, Hepatitis C virus can proliferate in your liver and attack your liver cells. You can help your immune system protect you from Hepatitis C virus. Ganoderma Extract or red Reishi mushrooms are natural immune system boosters. They strengthen and protect your immune cells. Alcohol is one of the proven carcinogens but unfortunately, it is also a regulated drug. It is available to anyone anywhere as long as you are not a minor. Chronic indigestion is one of the consequences of drinking too much. If you like to drink a lot, here's something to sober you up: The number of bottles it takes to intoxicate you is the amount of alcohol that dampens your immune functions. If cancer runs in your family, protect yourself by quitting or by making sure you don't abuse it. If you have been diagnosed, stop drinking. Alcohol can trigger the tumor to develop its own blood vessels. Those blood vessels can encourage tumor growth, which is just one of the terrible and negative effects of alcohol abuse.